Keeping All of Your Ducts in a Row. Do you notice little wisps of dust puffing out from an air duct every time you turn on your home's heating ventilation and air conditioning (HVAC) system? Can you see dust and pet hair trapped in the vent? Is there a layer of dust coating the grill on the return air registers? Any one of these signs may be indications that the duct work in your home or business is due for a cleaning. 1. Open one of your vent covers and look inside. Check to see if it contains any dirt, debris, or matted dust. 2. Examine the return air registers for dust buildup, particularly if you see thick, fuzzy coatings of dust. 3. Pull out the air filter. If the air filter is clogged with dust, the air flow is being choked off. This allows more dust to settle and build up in the return ductwork. 5. Look at the air conditioning coil. (You may need to remove a panel.) If the coil is dusty or has dust clinging to the housing walls, this is an indication that the air filter hasn't been working properly. Any of these red flags show that your HVAC system and ductwork is being adversely affected by too much dust and dirt. 1. Dirt and dust restrict your HVAC system's heating and cooling. In winter, dirt-clogged heat exchangers cannot warm the air as efficiently. In summer, dirt-clogged condensing coils are unable to cool the air as well. These both increase the HVAC systems run time, requiring it to use more fuel and energy to heat and cool your property. 2. Dirt and dust restrict air flow. Let's say your system is doing a fine job of heating and cooling the air. If the blower fan or motor can't turn because of dirt, or the air filter is clogged with dust, then the system can't effectively circulate that warmed or cooled air throughout your property. It's going to run longer and use more energy. 3. The longer your HVAC system operates, the more wear and tear it undergoes. Long run times can shorten the overall lifetime of HVAC systems, from AC compressors to hydro pumps, burners, and motor bearings. You will wear out your home's HVAC system sooner. 4. Besides dirt, dust contains dead skin, pet dander, microorganisms from cat litter (toxoplasmosis), and other particles including: pollen, mold spores, fungi, and even rodent feces. Left to contaminate your HVAC system, it may become a breeding ground for bacteria, mites, and other pests. This greatly affects the quality of the air you are breathing, and ultimately affects your health. 5. Dirt and dust spread quicker in a home with dirty ducts. No matter how diligent you may dust and clean your home, fine particulate contaminates, including dangerous allergens, quickly flow from one room to the next covering tables, smart phones, and children's toys. 4. Lower likelihood of respiratory and allergy problems. We do not recommend you tackle this job yourself. This is not a do-it-yourself project you will be able to do with an inexpensive machine from your local hardware store. To get the job done right, you need to hire a professional Company that does this on a regular basis. At SERVPRO of The East End, we have been cleaning air ducts for residential and commercial properties for over 40 years. Our team of professionals are IICRC trained and certified and we have all of the latest state-of-the-art machinery to get the job done quickly and efficiently so you can get back to the business of your life. Call SERVPRO of The East End at 631-653-9595 with any questions or to schedule an appointment. We look forward to working with you! When storms hit the East End of Long Island, SERVPRO of The East End is ready 24/7. 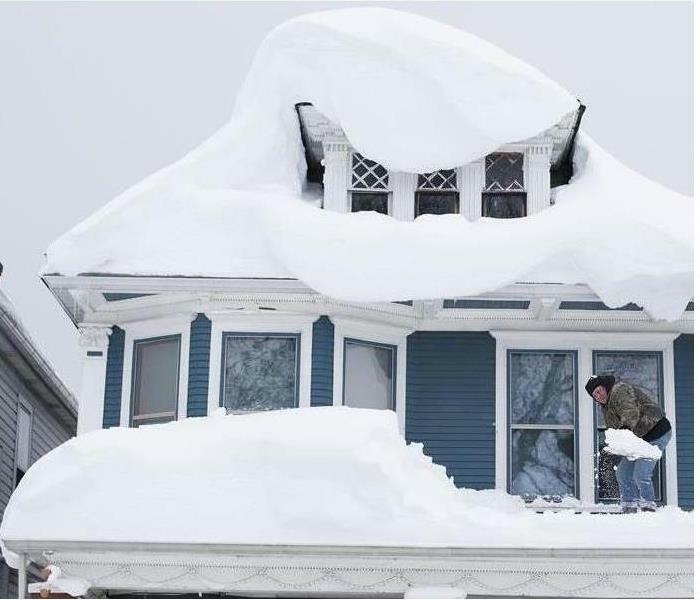 The Northeast is still being hit by winter storms, as evidenced in the last week of snow. At SERVPRO of The East End, our highly trained crews are always ready to respond 24/7 to storm, flood and water damage along the entire coast of communities lining the East End of Long Island. SERVPRO of The East End specializes in storm and water damage restoration. Our crews are trained, certified and experienced and we use specialized state-of-the-art equipment to restore your residential or commercial property to its pre-storm condition. Because we are locally owned and operated, we are able to respond quicker with the right resources, which is extremely important. A fast response lessens the damage, limits further damage, and reduces the restoration cost. When storms hit the East End of Long Island, we can scale our resources to handle a large storm or flooding disaster. We can access equipment and personnel from a network of over 1,700 Franchises across the country and elite Disaster Recovery Teams that are strategically located throughout the United States. Have Storm or Water Damage? As the last of the winter storms finally melt on the East End of Long Island, property owners everywhere are dealing with more leaks, pipes breaking, flooded basements and related problems in their homes and businesses. If water is left to sit for too long, mold can develop. Fortunately, with a few precautionary steps, you can prevent the spread of mold. The following practical tips from SERVPRO of the East End will help you control moisture, properly ventilate your home or business, thoroughly clean, and ultimately, prevent mold from growing inside of your home or business. Make sure your downspouts are positioned away from your property. This will ensure the water drains away from the property preventing debris, soil, and stone buildup. Re-positioning downspouts will also help ensure the interior of your property remains nice and dry and, thereby, free of fungal growth. Many properties have a closed-loop ventilation system, which essentially recirculates the same air indoors. To purify the air and prevent indoor air contaminants from collecting, consider using a dehumidifier. Your basement, for example, is a great place to install a dehumidifier, because basements are generally damp. The dehumidifier will help keep the relative humidity between 30 and 50 percent hereby preventing black mold growth. Inspect your crawl space, your attic or any room you tend to overlook or think very little about. Because you do not spend a great deal of time in these rooms, you may neither consider nor suspect mold growth. The longer the mold grows, the greater the damage it can cause. Not only will the cost to remediate the problem increase, but your health may also worsen because of ongoing mold exposure. Thus, you want to detect mold in its earliest stages. Inspecting the rooms you do not usually use will help you to do just that. If the wintry weather has damaged your property's foundation or roofing, leaving cracks of any size, water could easily enter (and weaken) the structure. When you have moisture, the right temperature, and a food source (think drywall), mold can grow within 24 to 48 hours. Act fast and fix leaking pipes, deteriorating window sills and frames, and even a cracked chimney or foundation. Don't let these small repairs wait, or you will likely have bigger problems ahead. Inspect areas of your property where there's more plumbing and thereby more potential for leaks: in the basement and underneath the bathroom and kitchen sinks. Unfortunately, you can't always see a leaking pipe. In many cases, it's either behind a wall or underneath a floorboard. But, you might see water damage on a floorboard, ceiling tile or wall resulting from it. For assurance and peace of mind, consider calling SERVPRO of the The East End for a professional assessment. Spring is the perfect time to clean your carpets, drapery, upholstery, furniture, kitchen, bathroom tiles and grout; and all of the dark, damp corners of your property. Cleaning each of these will help you keep tabs on problem areas. You are more likely to locate water damage and prevent mold if you are cleaning on a regular basis. Always control moisture, keep sufficient airflow and clean your property often. If you see signs of mold following your spring cleaning, call SERVPRO of the The East End to professionally clean, dry and disinfect the area. Mold in your home or business from winter conditions is an unfortunate situation, but SERVPRO of the East End will be happy to professionally mitigate any damage and make it look and feel "Like it never even happened." At SERVPRO of the East End we treat every home and business we enter as if it were our own. One of our goals is to treat everyone and everything as you would if it was our own family going through this loss. From a small stain on your carpet to three feet of raw sewage in a basement, we will treat your loss, your property and your family with the respect, compassion, consideration and professionalism you deserve. We know how difficult and unsettling a water damage, mold infestation, fire or pest infestation can be. We make it our business to mitigate as quickly, efficiently and painlessly as possible. At SERVPRO of the East End we know that communication is key. When you experience a loss in your home or business, you have questions. We make it our business to have our experienced staff available to answer your questions. We will keep you and your insurance company informed every step of the way. We work on an approval only basis. This means that we will only do the work that you as the homeowner and/or your insurance company has approved. We want to make sure this process is as smooth and painless as possible. At SERVPRO of The East End we believe in Applied Structural Drying. In simple terms, we do not want to come into your house and just start tearing things apart. We have invested a lot of time and assets into equipment, training, and tools that allow us to dry the structure with minimal disruption. If there is a way to extract and mitigate the damage without tearing out floors and/or walls, we have the equipment and knowledge to do it. By doing this, we minimize the disruption to your life and keep the overall cost of the loss down. Since first opening the doors in 1967, training has been the backbone of the SERVPRO brand and the reason for our success nationwide. At SERVPRO of The East End, this is especially important to us. 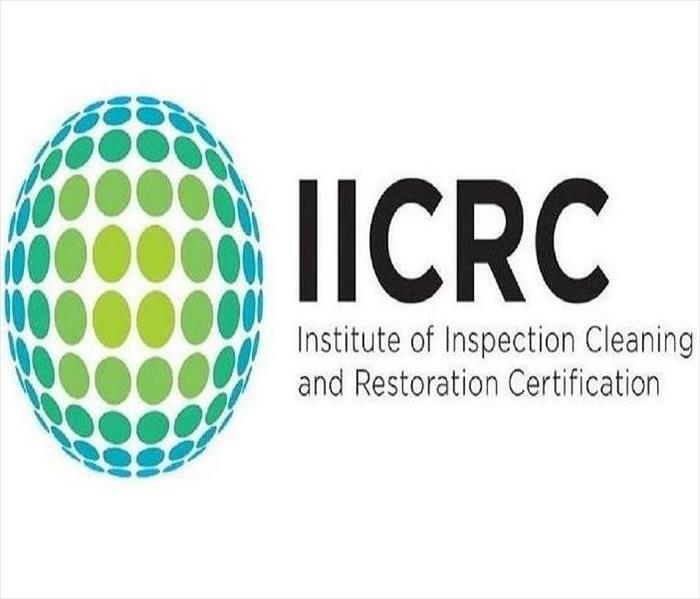 We are an IICRC (Institute of Inspection, Cleaning and Restoration Certification) certified firm. The IICRC is a certification and Standards Developing Organization (SDO) non-profit organization that sets the standards for the inspection, cleaning and restoration industries. It is what most insurance companies base their standards on. At SERVPRO of The East End, we make sure our employees meet those standards and our own. When you call SERVPRO of the East End (631-653-9595) for your residential and commercial cleaning and restoration needs, you can trust that you are calling a leader in the industry. 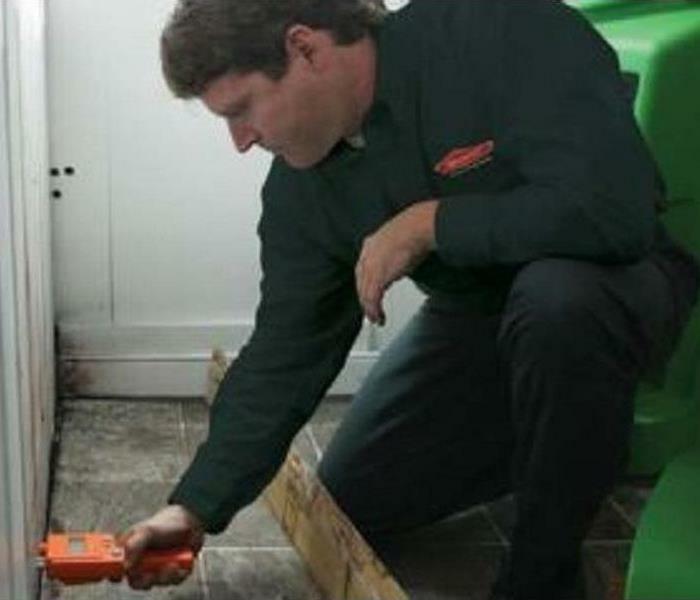 SERVPRO professionals use the latest equipment in detecting hidden moisture infiltrating your home. FACT: Restoration through mitigation is less expensive than replacing! SERVPRO of the East End professionals use specialized test equipment to determine hidden water. Restoration versus replacement of contents saves heirlooms and money. By using advanced drying techniques, SERVPRO professionals monitor and ensure your property is dried properly. At SERVPRO of The East End, we know how important your property and their contents are to you. We know how hard you've worked to achieve the lifestyle you have. By getting to you faster, having trained professionals taking charge, along with the right equipment, we are able to save and restore your property and furnishings, along with your peace of mind. That saves you time and money in the cost of replacing anything that may have been damaged. You can trust SERVPRO of The East End for any and all of your restoration needs. Call us directly at 631-653-9595 with any questions or inquiries regarding your specific concerns. SERVPRO® Franchise Professionals have been helping home and business owners recover from water damages across the United States for over 50 years. More locations means faster response. A SERVPRO® Franchise Professional will usually be on-site within four hours to help protect the structure, business and personal property. The SERVPRO® National Call Center served over 500 insurance and property management companies and their clients nationwide in the last yar alone.We have earned the trust of the insurance industry by serving thousands of their policy holders and clients with respect and integrity. The more we restore, the less that needs to be replaced. This helps our clients save millions of dollars each year, which helps lower your insurance rates! In our business, you need us fast! The sooner we arrive, the better the chance we can reduce damage and save money. Franchise Professionals are available 24 hours a day, seven days a week, 365 days a year. A trained, uniformed and equipped SERVPRO® Franchise Professional will walk you through the job process and then work quickly to restore your property to preloss condition whenever possible. From large commercial environments to small residential losses, SERVPRO® Franchise Professionals understand your loss is the job that matters most! We are happy to provide references so you can feel confident that SERVPRO® is the best system to service your needs. 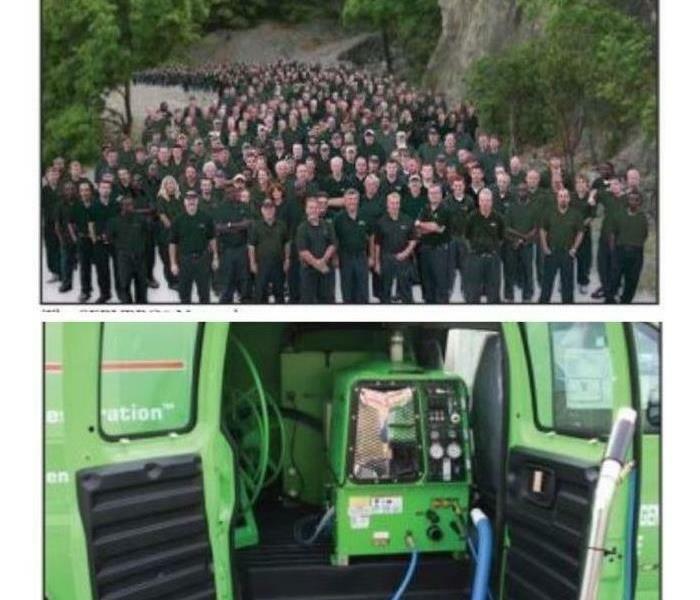 The SERVPRO Difference is evident in the quality of our people, experience, training and equipment. The SERVPRO Difference is evident in the SERPVPRO People, Training and Equipment to make it "Like it never even happened." 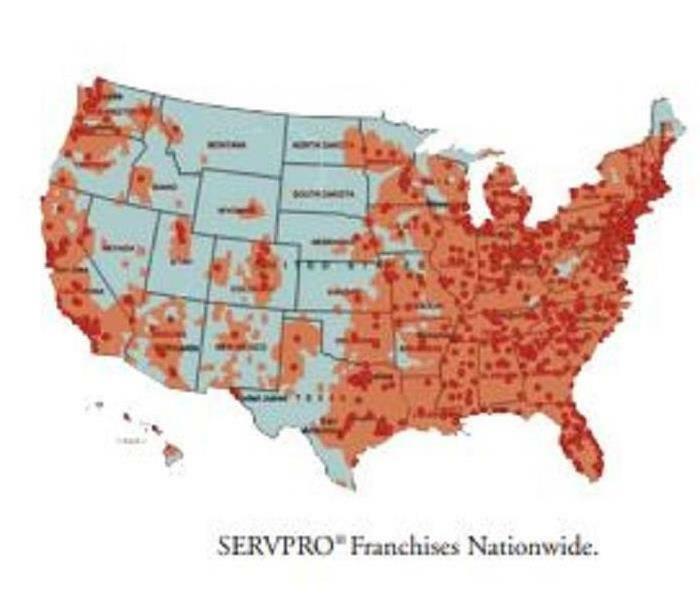 With over 10,000 quality teammates nationwide, SERVPRO® Franchise Professionals are available 24 hours a day, 365 days a year to help you get your property and your life back. SERVPRO® is a Franchise System with over 40 years of leadership in fire and water cleanup and restoration. Our track record of results has earned us the trust of the insurance industry, countless homeowners, commercial property managers and in one unforgettable instance, even the Pentagon. Franchise Professionals undergo extensive water restoration training and certification. SERVPRO Industries, Inc. is an IICRC-approved school to help ensure our training meets and exceeds accepted industry standards. With over 5,000,000 square feet of building space, housing over 140,000 pieces of cleaning and restoration equipment, SERVPRO® Franchise Professionals have the resources to help you take back control of your life. Every home is required to have a main water shut-off valve installed during its initial construction. 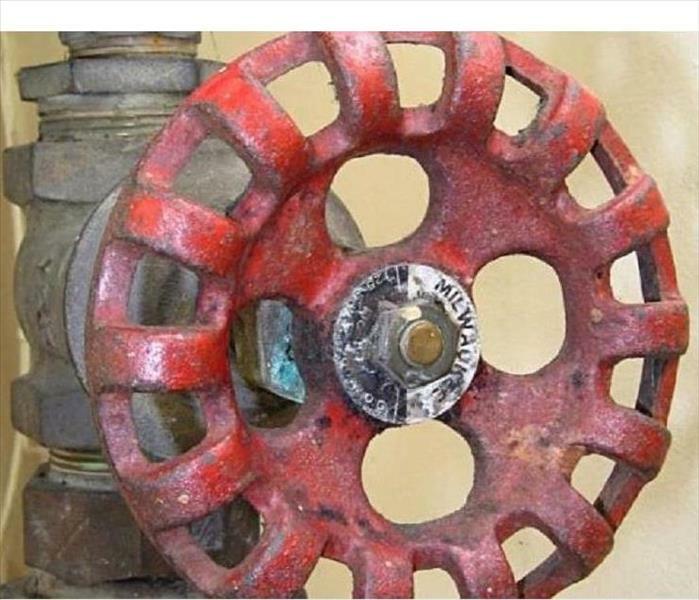 For most emergencies, shutting-off the proper inside valve is a crucial first step to preventing more damage. The shut-off valve is typically located near the front foundation wall. The main water supply may come through the concrete floor or through the wall. The valve is typically within 3-5 feet of where the main water supply enters. In some cases, the main water supply may enter in a different area, like a laundry room, or up through the floor, near the water heater or furnace. The shut-off valve will typically be located near the water heater or under the kitchen sink, but anywhere is possible. As with a situation where there are a crawlspace and a basement, the valve may be inside a crawlspace; in which case, you may want to consider a secondary valve located up in the living space (near the water heater or under a sink). The shut-off valve will typically be located near the water heater or under the kitchen sink, but, again, it could be anywhere. It is important you know exactly where it is so you can be quick to turning it off in an emergency. Once you know where it is, you may want to tag it. Let your family members know where it is, and how to properly shut it off during a water emergency. Mold is a common problem for property owners on the East End of Long Island, where our coastal communities are exposed to a great deal of moisture in the air providing the ideal environment for mold to proliferate. Mold can be colored green, purple, white or orange. While mold plays an important role in the outdoor environment, breaking down dead plants, mold is an unwelcome and unhealthy entity in our homes and businesses. Showers, bathrooms and kitchens are a common location for mold to grow, but it is possible for mold to grow anywhere on your property. Mold may come inside a property from an outside growth through inadequately sealed windows or doors. Mold spores cannot be entirely eliminated, but they will not grow if the environment is dry and well ventilated. Mold growth may be prevented by ensuring a quick and thorough cleanup if and where a water damage occurs. Using air conditioners during humid seasons and exhaust fans in kitchens may also help to prevent mold from growing. Other areas to monitor moisture in order to prevent mold growth include: exterior walls and surfaces in need of insulation where condensation can build, air conditioner drip pans, check for leaks around refrigerator, ensure crawl spaces are well ventilated, and check for leaks around a tub. These are a few simple tips for making sure mold is not growing in your home or business. If you do discover mold on your property, call SERVPRO of The East End at 631-653-9595. We have been in the business of cleaning and restoring residential and commercial properties on The East End of Long Island for over 40 years. Our IICRC trained and certified technicians have the experience, knowledge and state-of-the art equipment to make it "Like it never even happened." SERVPRO of The East End specializes in the cleanup and restoration of residential and commercial property after a fire, smoke or water damage event. Our staff is highly trained and certified in property damage restoration and we are an IICRC Certified Firm. We believe in continuous training: from initial and ongoing training at SERVPRO’s corporate training facility to regular IICRC-industry certification, rest assured our staff is equipped with the knowledge to restore your property. When choosing a business to do your cleanup and restoration, you want to choose an IICRC Certified Company. At SERVPRO of The East End, we have been in the business of cleaning and restoring residential and commercial businesses for over 40 years. Why would you even consider trusting anyone else with your greatest investment? 3/4/2019 - Winter's Not Over Yet! 2/15/2019 - SERVPRO Saves You Money!